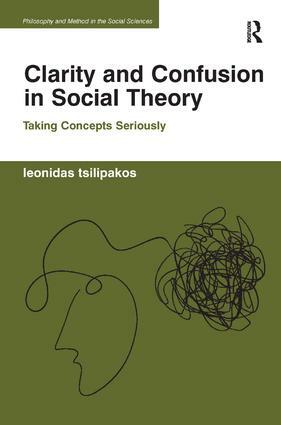 Departing from a concern with certain ’hard’ problems in social theory and focusing instead on the theoretical strategies employed in their solution, especially on how these strategies depend on what the author calls the theoretical attitude towards language, this book considers whether these strategies, far from being indispensable guides to thinking, might in fact lead social theorists to misunderstand the concepts constitutive of social life. Making use of the insights and practice of Ordinary Language Philosophy, understood as encompassing the work of Wittgenstein, Ryle, Austin and their followers, Clarity and Confusion in Social Theory reveals the profound logical flaws in some of the central methodological procedures often employed in social theory for dealing with concepts, offering alternative approaches to social scientists and philosophers for tackling the conceptual issues that have so bedevilled social science from its inception. A lucid explication of Ordinary Language Philosophy and the potential that it offers for deepening and re-orienting theoretical work in the social sciences, this volume, apart from being a challenge to the influential Critical Realist paradigm, constitutes a radical critique of social theoretical reason. As such, it will appeal to social theorists and philosophers of social science, those with interests in research methods and theory construction, and anyone interested in thinking clearly about society. Leonidas Tsilipakos is Chrystal Macmillan Research Fellow in the Department of Sociology at the University of Edinburgh, UK. Engaging with the recent resurgence of interest in methodological and philosophical issues in the human and social sciences, this series provides an outlet for work that demonstrates both the intellectual import of philosophical and methodological debates within the social sciences and their direct relevance to questions of politics, ethics or policy. Philosophy and Method in the Social Sciences welcomes work from sociologists, geographers, philosophers, anthropologists, criminologists and political scientists with broad interest across academic disciplines, that scrutinises contemporary perspectives within the human and social sciences and explores their import for today's social questions.